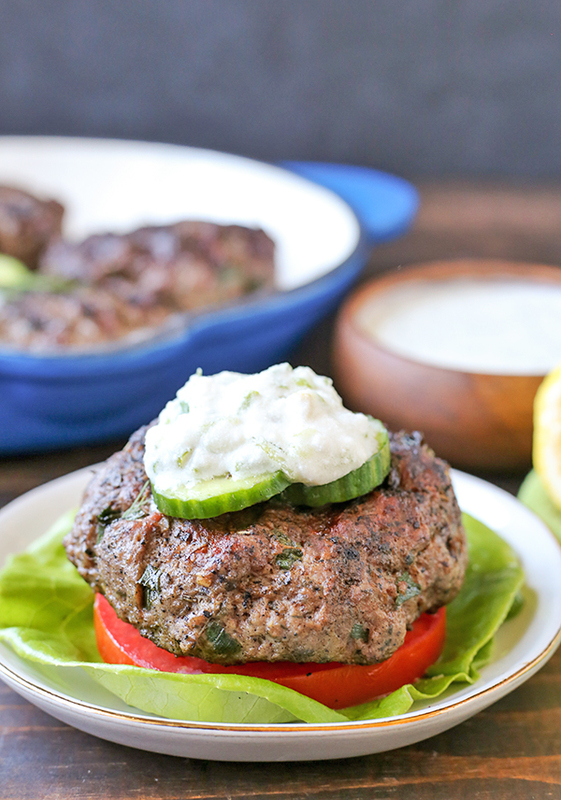 These Paleo Whole30 Grilled Gyro Burgers are easy to make and packed with so much flavor! 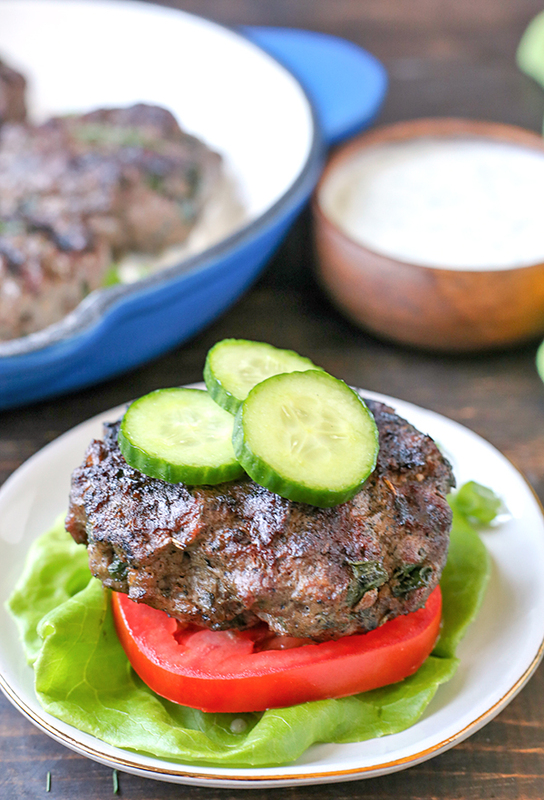 The perfect burger to make for your grill out! 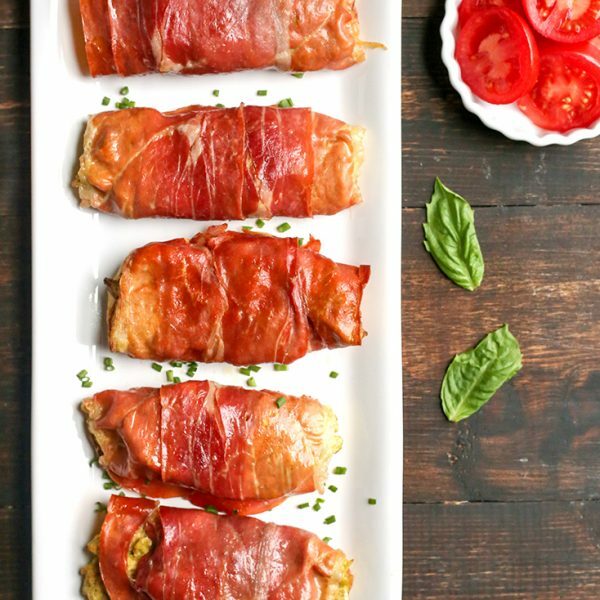 Low carb, keto, and low fodmap and everyone will enjoy them! Usually when we make burgers we keep it simple- salt and pepper only. But making them gyro flavored was a spur of the moment idea I had a couple months ago and they came out amazing! I immediately planned to make them again so I could measure everything and get pictures. 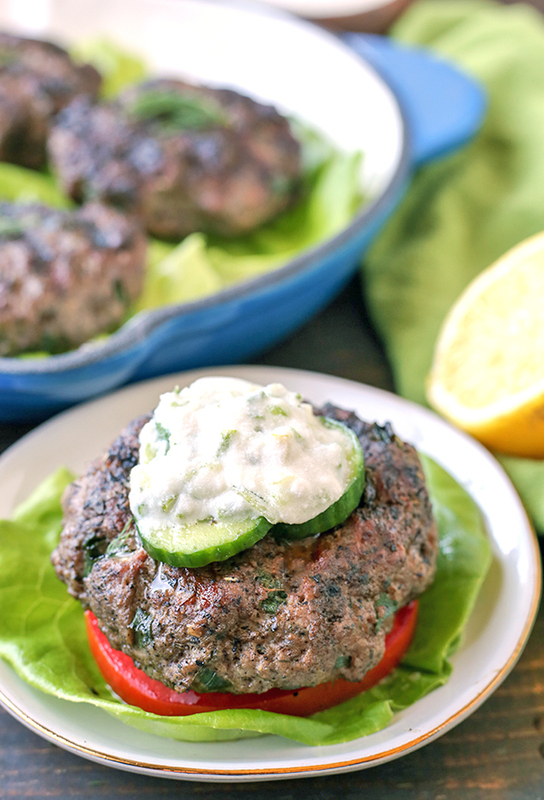 They were inspired by my Paleo Gyros, of course! I made some modifications to make them low fodmap, so no white onion or fresh garlic. Instead green onion and garlic oil are used and they add all the flavor with none of the digestive discomfort! 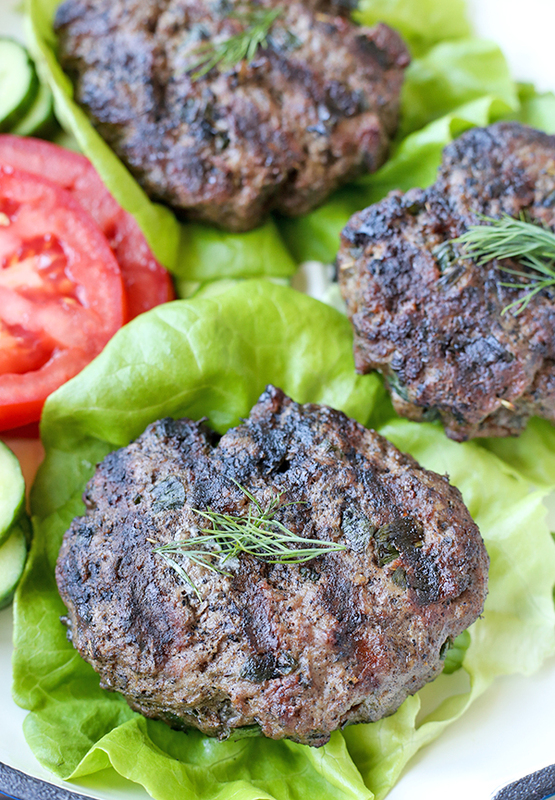 These burgers are quick to make and can even be made ahead of time and left in the fridge until the day you’re grilling. A tip about grilling meat, any kind, it to take it out of the fridge at least 30 minutes before grilling so it can come to room temperature. This helps the meat cook evenly. They are juicy, flavorful, and delicious on their own, but topping them with classic gyro toppings is even better. Paleo Whole30 Tzatziki Sauce (now with an update for low fodmap), sliced tomatoes, and sliced cucumbers or Paleo Pickles. Wrap it all in some lettuce and you have one messy, tasty sandwich that you will absolutely love! 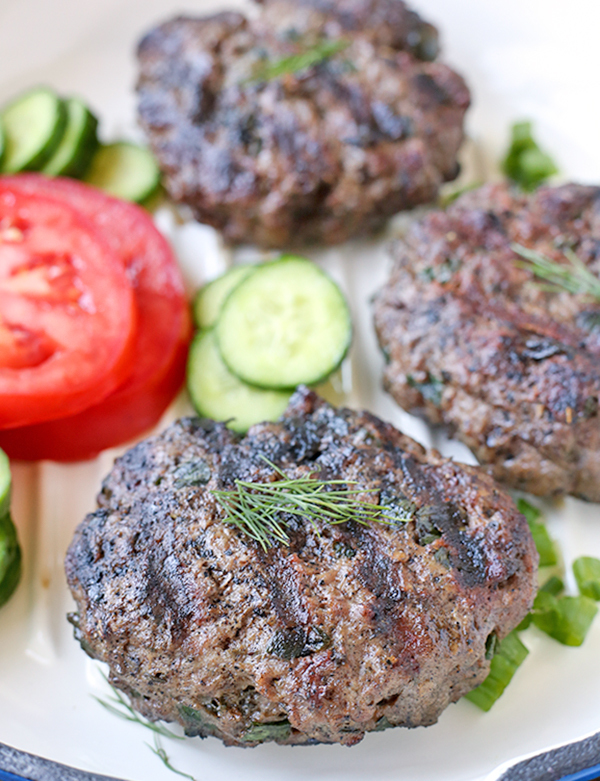 I really hope you make these burgers a part of your summer grill-outs! Combine the beef, lamb, cumin, thyme, oregano, rosemary, pepper, salt, garlic oil, and green onion together. Mix very well, until everything is evenly combined and spices are evenly distributed. Patty into 1/3 pound patties, or 6 equally sized burgers. Flatten to about 1/2 inch thick. Grill 5 minutes on each side over medium heat. 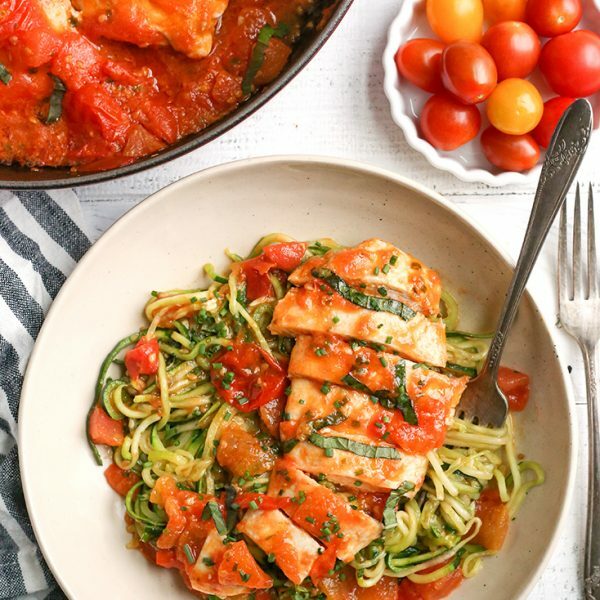 Serve with lettuce, tomato, cucumbers and tzatziki sauce. 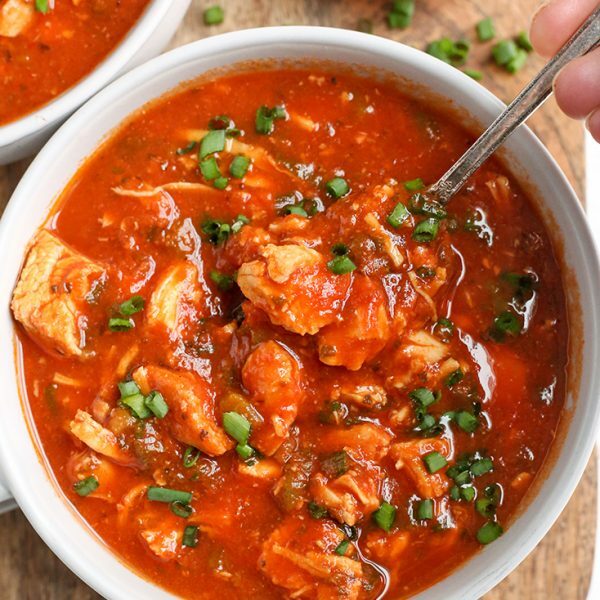 *If not needing low fodmap, you can use garlic powder and fresh onion. 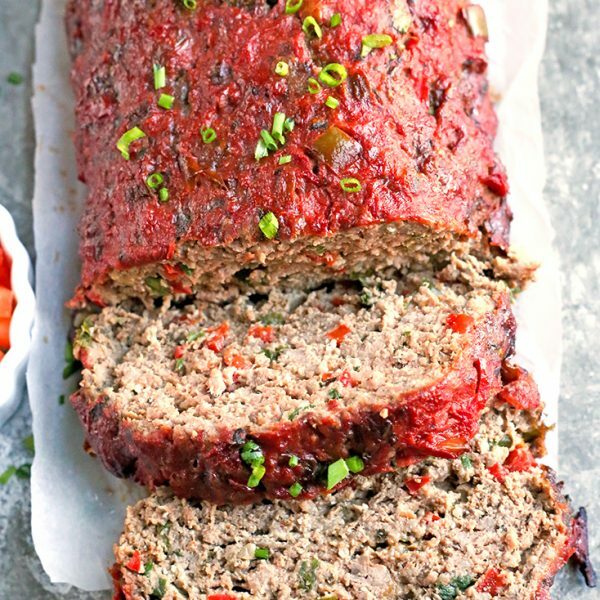 Do you think this recipe would work with just the ground beef and cutting the spices in half? Hi Jessica- yes! 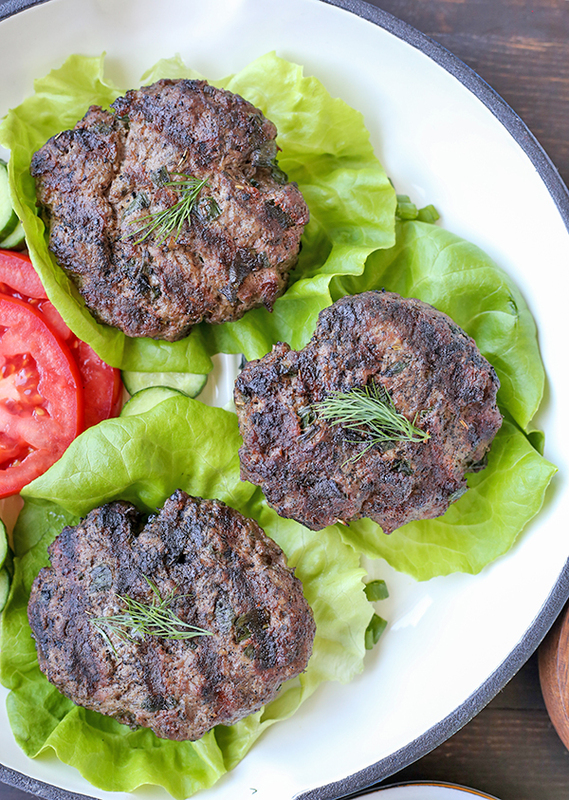 You can make it with 2 pounds of beef if you want, but yes, cut it in half if needed. Hope you try them!